Why Do Toilets Flush Counter Clockwise? Why Does Water Run Down a Bathtub Drain in a Swirl? When you let the water out of your tub it does not just disappear down the drain but leaves in a swirl. Several factors cause the water to do this. The Earth's movement, the fact that water is a fluid, its viscosity (how it is bonded together) and how the sink and the drain are connected. Water swirls down the drain for several reasons. The most basic reason for swirling water out of your tub is that the Earth is rotating. Although you do not see or cannot register the movement of water in your tub before you get in, it is indeed moving around very slowly. As the water leaves your tub, it enters the drain. The drain has a much smaller radius than the tub itself. So as it enters, angular momentum (the tendency for an object moving in a circular motion to continue doing so) is conserved and the angular velocity (the circular speed and its direction) increases, causing the swirl. If you were suspended a thousand miles above the Earth, you could see its rotation. The Southern Hemisphere would appear to be revolving clockwise, while the Northern Hemisphere would be moving in a counterclockwise direction. The swirl in your drain will go in the same direction as that of the rotation. If you live in the Northern Hemisphere, it will swirl counterclockwise and in the Southern Hemisphere clockwise. Professor Ascher Shapiro of the Massachusetts Institute of Technology confirmed this phenomenon in the laboratory in 1962. This effect of the Earth's rotation on water is called the Coriolis effect. Some scientists, including Dr.
Chaim Tejman, say that it is not strong enough to affect the rotation of a small body of water like that in your tub. They say that water in the tub sometimes swirls in the opposite direction when drained. The reason behind this, they say, is that even a very slight disturbance can overcome the Coriolis effect and start the rotation in the opposite direction. 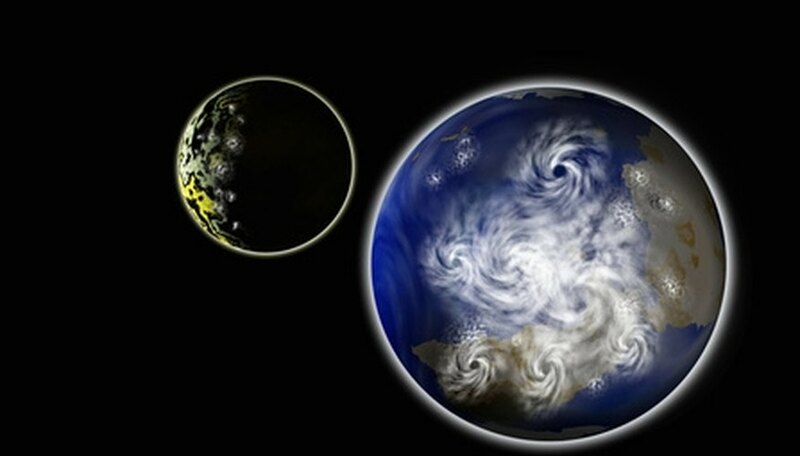 Greeks hypothesized that the Earth was a sphere hung in a spherical universe and that the sky revolved around the Earth, causing winds and water to swirl. The science of the Dark and Middle ages did little to change this vision It was Copernicus, supported by Galileo, in the 1500s who convinced scientists that the Earth rotates on its axis. In 2010, there are very sensitive instruments that can record even the slightest variation in that rotation. Why Do Vegetables Sink or Float? Is Using a Brita Water Filter With Tap Water Safe? What Is a Kelvin in Lighting? What Is the Difference in Arnica Montana 30x and 30c? What Are the Side Effects of a Low pH Level in a Hot Tub? Is It Safe to Use Bath Oil in a Jacuzzi? How Do Bathtub Drains Work?